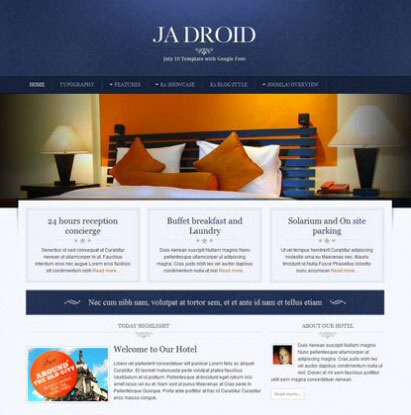 Joomlart.Com released their JA Droid – July 2010 Template. 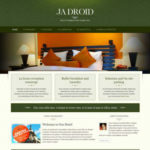 Fresh vibrant colors, decent simple looks is what the July 2010 Joomla template JA Droid has for you. 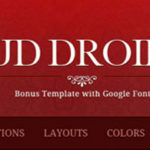 Broad header to accomodate larger logo images or insert custom flash. Auto-thumbnails of images, cool popups can be activated by installing the complimentary plugins. JA Slideshow II & Twitter Module helps equally in the display. JA Droid is running on our new T3 V2 framework and template backend is a delight. 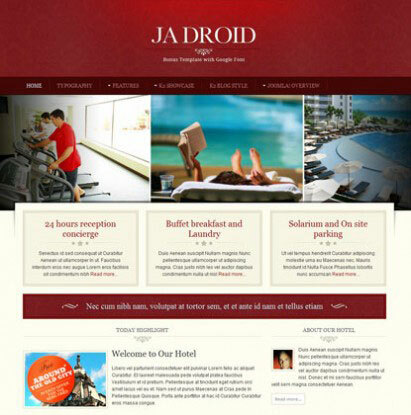 It also comes with inbuilt styles for JA Comment Component & K2 component. 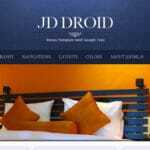 Delivered with source .PSD and FONT files, Demo site sample database and detailed user guide which can be found in JA Droid downdoad and JA Droid forum. JA Slideshow II: Allows you to easily display a folder of images, without having to worry about or understand the best way of resizing files for screen size or download filesize. Beautiful animation effects, with inline text-embeded description. Ready for Blogging? Know how to Start a Blog! This is just beautiful! I will totally buy it soon. Great job! Ahh…very nice and clean layout there! I’ll definitely shortlist this one for one of my upcoming projects. Looks perfect for elegant accommodations and hotels. Thumbs up on the design.